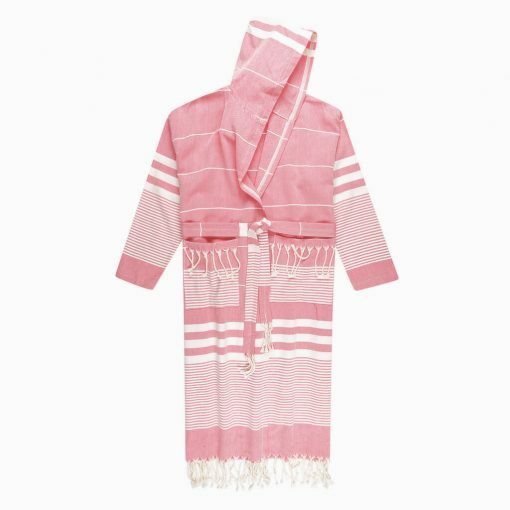 Our Turkish cotton robe is the latest addition to the Kasaba range and a great alternative to the beach poncho. 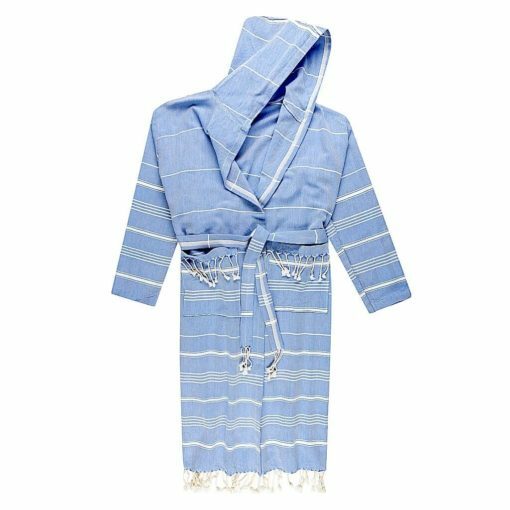 It can be used as a cover up to help protect your skin from the harsh sun, as a regular Turkish towel or a robe to lounge around the house. These are lightweight and so comfortable. Just like our Turkish towels the Turkish cotton robe dries quickly and takes up barely any space in your bag. 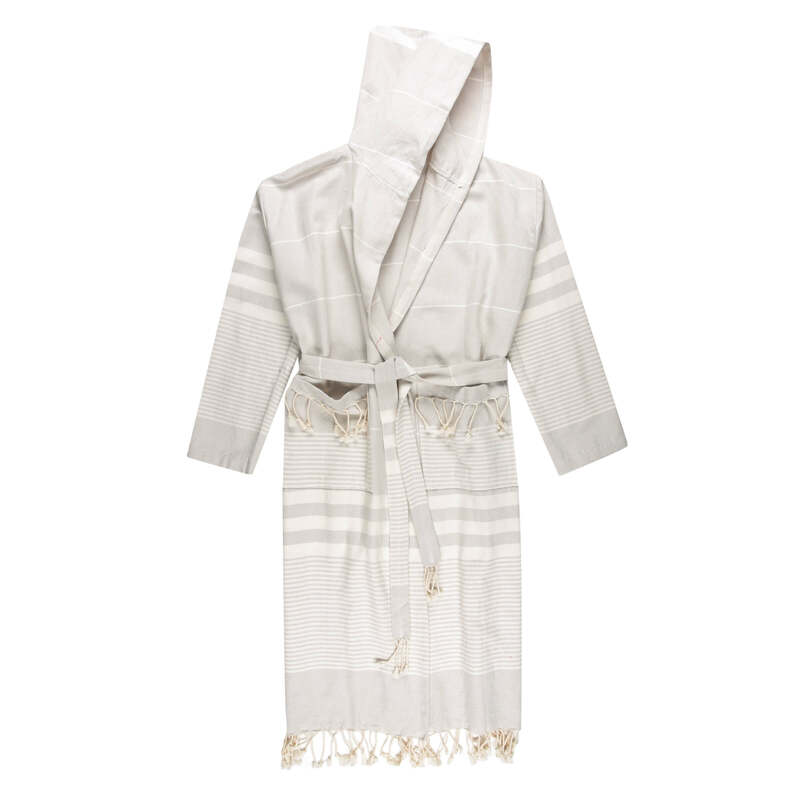 And because only 100 % Turkish cotton is used to hand make these robes, they feel great against your skin. 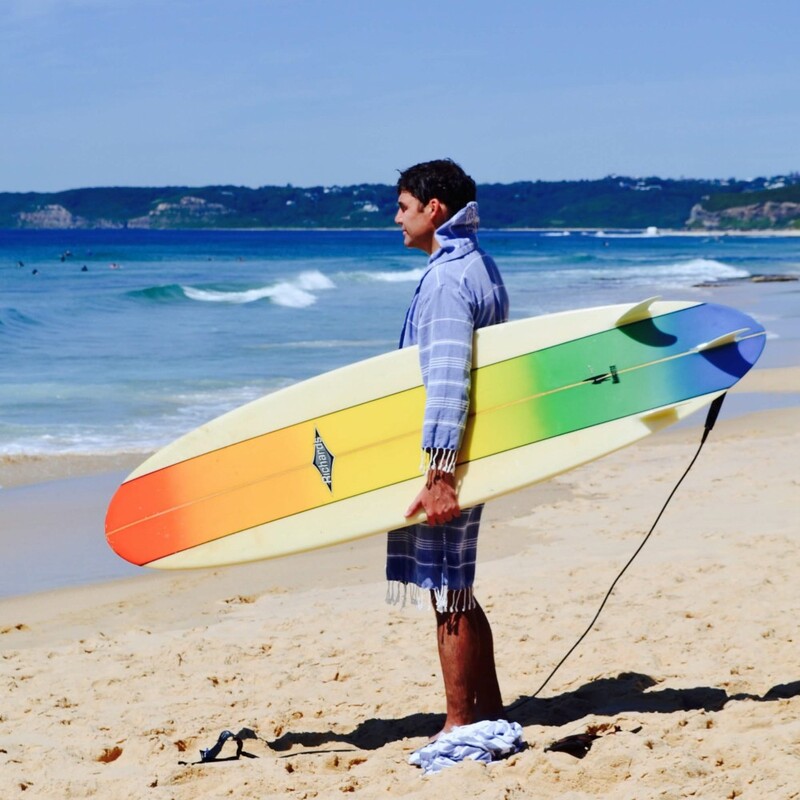 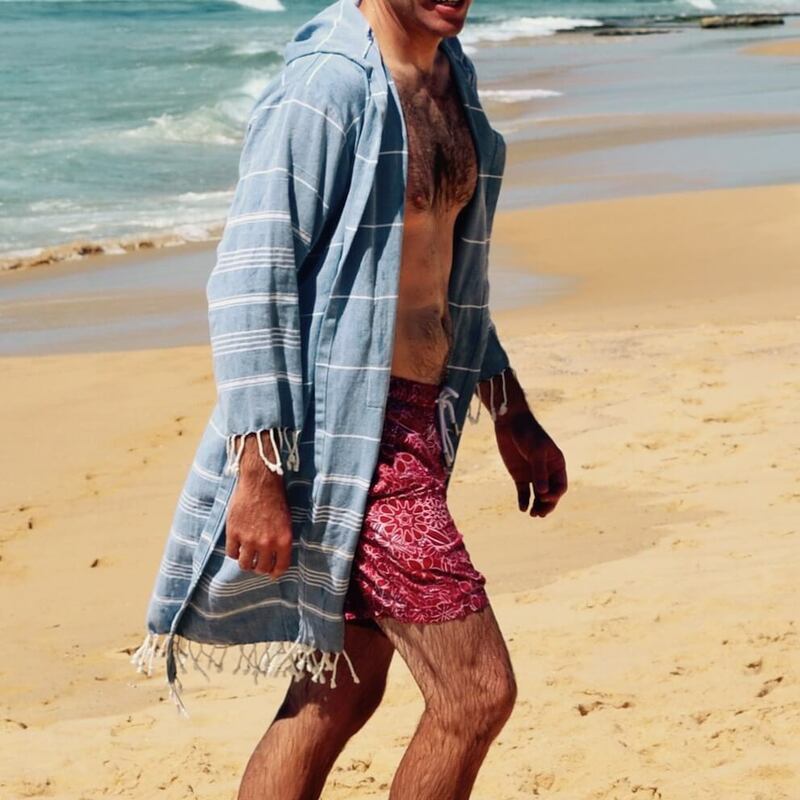 Our beach robe is an alternative to the current beach poncho on the market which are more than often not made from breathable cotton but synthetic material which make sticky and sweaty bodies. 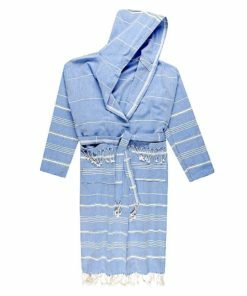 The Turkish Beach robe can also be used as a bathrobe or as simple lounge wear at home and is definitely suitable for both men and women.